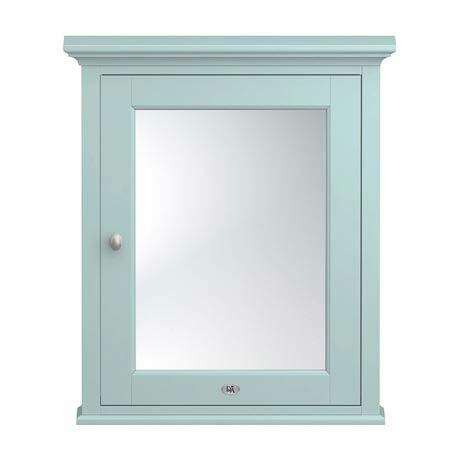 The luxury mirror wall cabinet beautifully finished in Duck Egg Blue from our exclusive Downton Abbey range. The stunning collection of period inspired furniture, sanitary ware and brassware captures timeless elegance and truly will give any bathroom a graceful quality. The mirror cabinet is crafted to the highest standards and features bevelled detailing and a elegant brushed satin nickel handle. Q. Do you have pictures of the inside of the cabinet? 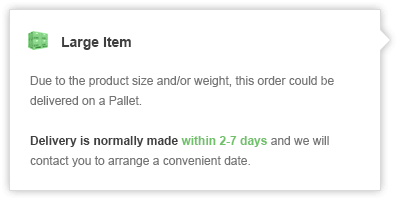 Thank you for your enquiry, unfortunately the images are provided by the manufacturer and we do not have any of the inside. There is one shelf fixed at the midway point on the inside.